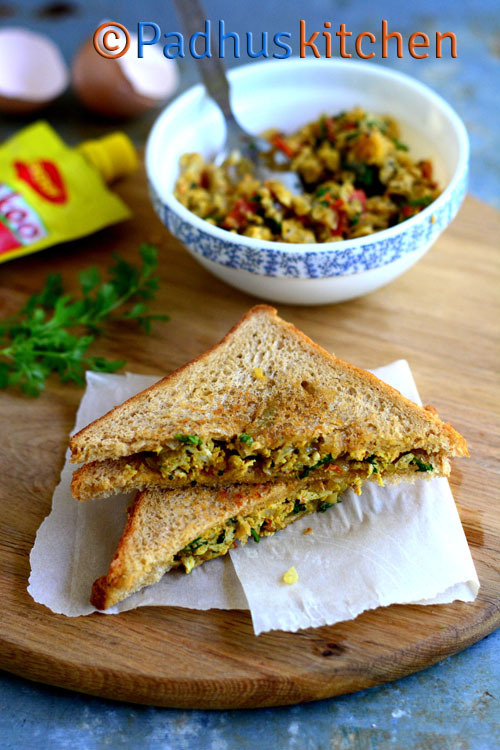 Egg Bhurji sandwich is easy to make, delicious and is perfect for breakfast, light lunch or as a snack. 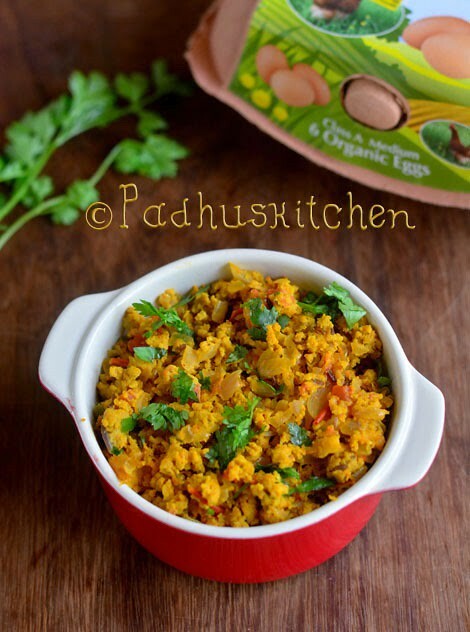 Egg bhurji is not only a great side dish for rice and rotis but also makes an excellent stuffing for sandwiches. Today we will learn how to make egg bhurji sandwich following this easy recipe with step wise pictures. As I have already done a detailed post on how to make egg bhurji, I do not want to explain all that again here. Prepare egg bhurji as given in the link below or click the picture below to take you to that page. Make egg bhurji and keep it ready. We will make the egg bhurji sandwich now. Take 2 bread slices and apply melted butter or ghee on both sides of the bread and toast it slightly. Place 2 heaped tbsp of egg bhurji on one bread slice and and close it with the other bread slice. Press it well using a spatula and toast both sides of the sandwich until golden brown. Cut it diagonally and enjoy it warm with tomato ketchup or green chutney. Repeat the same process for the rest of the bread slices. Note - You can use the sandwich toaster for making the sandwich. If you do have one, you can toast it on tava as I have done.